Chinese President Xi Jinping inspected north China's Tianjin Municipality on Thursday morning. 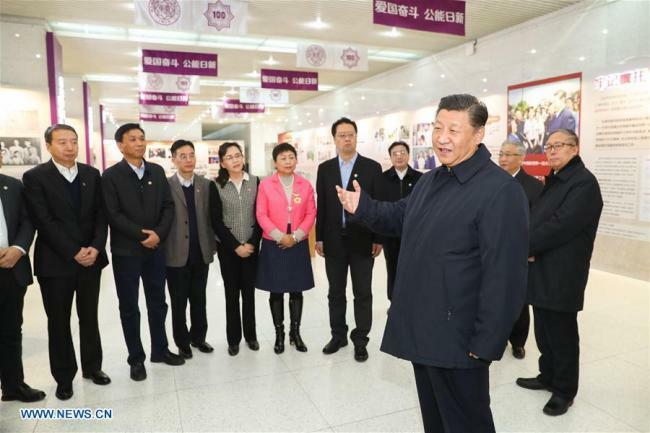 During his inspection, President Xi went to Nankai University, one of China's top universities. He visited the university's centenary exhibition, talked with a group of academicians and examined a national chemistry laboratory.